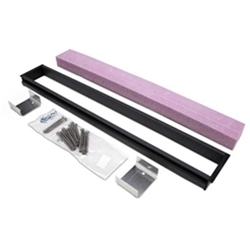 Use with FreeStyle Linear Drains in full mortar bed installations. NOT FOR USE WITH TILE TOP STRAINERS. SEE FULL MORTAR BED ADAPTER KITS FOR TILE TOP STRAINERS.